Schrock Innovations recently gave back to the local community with a donation to the American Heart Association’s Midwest Affiliate. 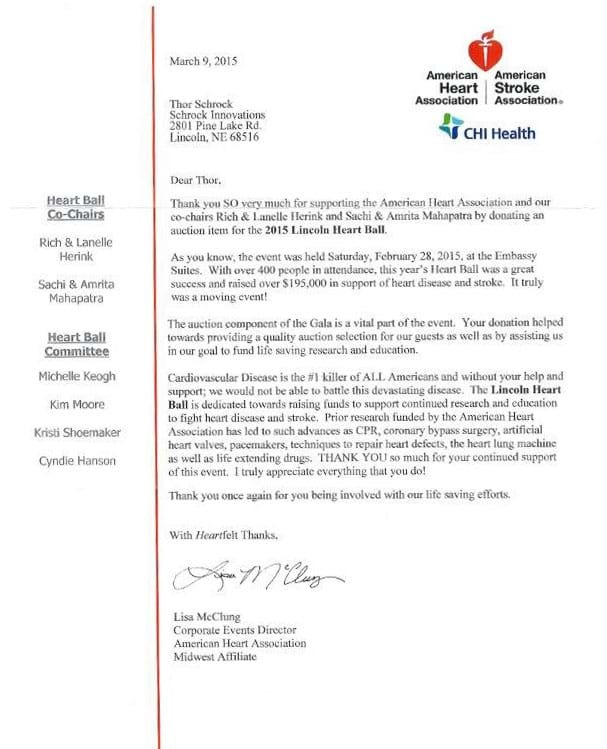 The 2015 Lincoln Heart Ball helped to raise over $195,000 in support of heart disease and stroke research. We are grateful to be able to support local affiliates of great charities with a great cause!